Mighty Dragons – Kid’s Program – Confidence for Kids! The Mighty Dragons Program is IMPACT’s specially designed childrens’ program. The Mighty Dragons Program is designed to increase your child’s self-confidence and self-esteem, helping them to make the most of opportunities in life. Your child will learn these skills and their Martial Arts through our specialised belt ranking system and goal setting activities. IMPACT Martial Arts offers disciplined, dynamic learning teaching your child valuable concentration and focused listening skills, this can assist learning at school and behaviour at home. Mighty Dragon classes combine physical and mental development in a fun and safe environment. Your child will learn specific self-defence tactics for identifying dangerous people and places, avoiding confrontation and diffusing bully situations. Your child will be more confident and capable should they need to defend themselves, reducing their likelihood of becoming a victim. Mighty Dragon classes are high energy to keep kids fit and healthy. IMPACT promotes healthy eating and provides a range of physical and mental skills to promote a healthy lifestyle in today’s society. Every class is full of the activities our kids love most; jumping, kicking punching and loads of high energy drills that keep them interested, excited and motivated. Integral to IMPACT Martial Arts are the family values of respect, humility, self-control and honesty. IMPACT is one of the very few places outside of the home where these principles are taught. They are the fundamental difference between Martial Arts taught at IMPACT and any other activity in which your child may participate. At IMPACT Martial Arts we promote a good environment to help your child to be the best they can be! Mighty Dragon classes are specially designed to cater to each individual child’s age and skill level. The Mighty Dragons program is an introduction to Martial Arts that draws from different disciplines to create a program that will engage children while also teaching them valuable life skills and increase physical fitness. 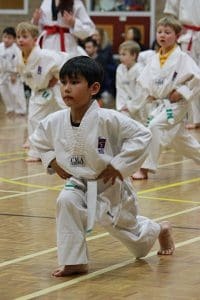 As the fundamentals of Martial Arts are the same, the Mighty Dragon program build an excellent foundation from which children can develop and graduate into our other Martial Arts classes. Mini Dragon classes are specially designed to cater to each individual child’s age and skill level. 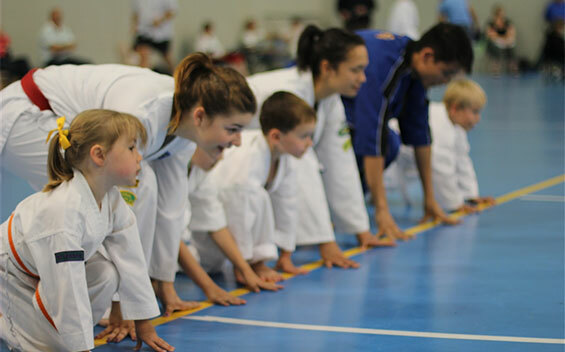 The Mini Dragons program is an introduction to Martial Arts that draws from different disciplines to create a program that will engage children while also teaching them valuable life skills and increase physical fitness. Our Mini Dragons program runs alongside the Mighty Dragon program, but uses an altered syllabus that is designed the mental and physical development of a younger cohort. There is no “best age’ to start our program, although children must be at least four years old. Older children also have the opportunity to participate in the Extreme Program, designed for Teenagers. Mighty Dragon classes are 45 minutes long. Children are separated into different age and skill groups. Groups are determined primarily by a child’s age; however ability and maturity are also determining factors. Children that show exceptional skill may be moved to a higher skill group, to challenge them to reach their full potential. IMPACT Martial Arts has over 60 Instructors with the number constantly growing through our leadership program. Children in the Mighty Dragon program are rewarded for showing commitment and dedication. The training term is divided into different modules that each last for two weeks. At the end of each module children receive a coloured stripe on their belt to acknowledge that they have attended class and have been tested in certain skills. At the end of each term children attend a Presentation Night where they can demonstrate their new skills and receive their next belt. There are many benefits of Martial Arts that can help all types of children. Those that are shy may be given a confidence boost, extremely active children can focus their energy and aggressive kids can learn control and respect. 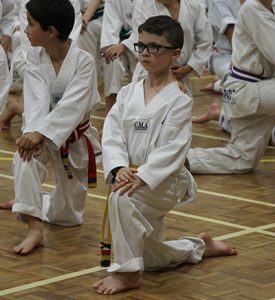 At Mighty Dragon classes children are surrounded by positive role models, from IMPACT’s instructors and from the more advanced children in the class. Increase in fitness, flexibility and strength. Increase in co-ordination. 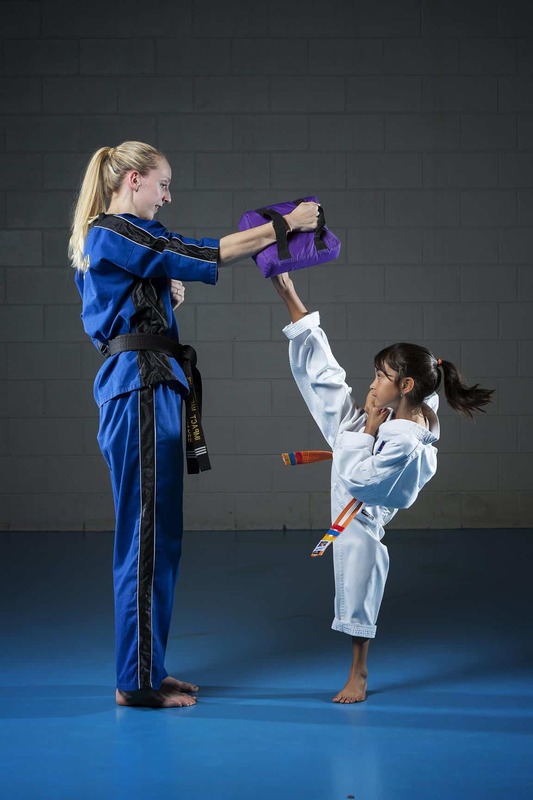 Martial Arts is often recommended by doctors for children who have difficulties with gross motor skills. More self-confidence, which builds self-respect and in turn teaches a child to respect others and develop self-discipline. Learning to focus energy and improving concentration. These improvements are often reflected in a child’s performance in school. Learning goal setting and determination, two very important life skills that will benefit children for the rest of their lives, helping to become successful and respected adults. Learn self-defence during our self-defence module. This unit has a strong emphasis on learning to avoid dangerous situations, the best form of self-defence. Our Self-Defence module also includes the Bully Buster unit, which focuses on managing bullying situations. IMPACT’s vision for your child is to teach important life skills through the physical and mental benefits of Martial Arts. IMPACT will teach your child skills for life, educating their mental and physical selves, helping them to grow to their full potential.